Teaching your baby sign language is a great way to bridge the communication gap before they learn to talk. As you have probably already discovered, until they are old enough to say what the want or mean, you are left…frustrated! 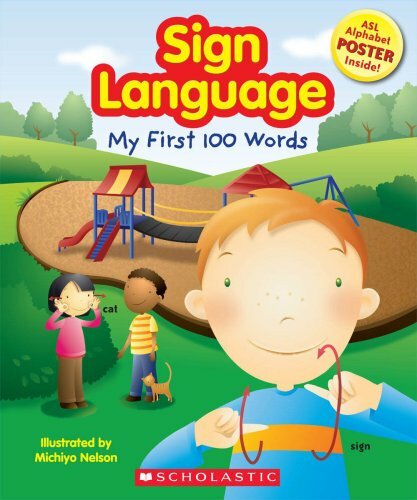 A friend of mine recently bought one of these books and taught her child a few simple signs within days. Now, instead of wondering when he wants to eat, or if he has had enough (or wants more) she only has to sign! I was amazed. 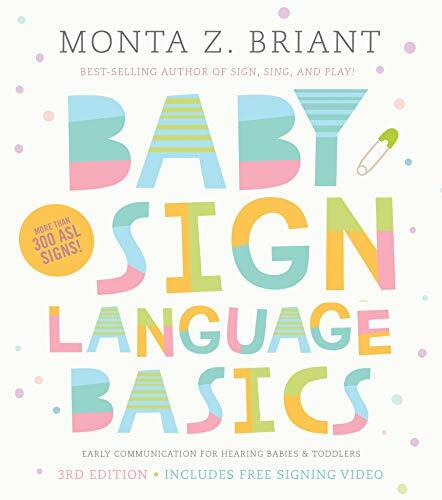 Of course, there are lots of different options when it comes to sign language books for babies, so I have chosen 6 for you to check out. And given recommendations on each inside their reviews. How Many Signs? Some of these books go as far as 300 signs, some just teach the basics. You have to decide, at least for the short-term, how much you want to learn yourself and then teach. After all, for most children, this is only useful for the first year or two. Illustrations, Photos or Videos– Most of the books have illustrations which are great for interacting and enticing your child to learn along with you. Some also have photos, which can also be more realistic and clearer to learn from. The very best in my opinion also have accompanying video online so you (and your baby) can see the signs in action. Extra Features– In most cases the book (and videos) are enough. But, if you want to involve your child more, some of the books come with songs, games and even flash cards instead of books. Complete with 101 signs that you can use to start communicating with your young one, this book is taught by someone with lots of experience. Lane is a licensed social worker in the Boston area and founder of Tiny Hands which teaches this stuff in depth. The book is always easy to learn from and remember with handy visuals as well as anecdotes and tips to get the most from your experience teaching your baby. And, Lane has included an online video guide to go with each sign, so you can see it in action. One final note, there is not a huge amount of supplementary material in this guide (like in some below) such as songs, games etc, but it should not really be necessary. 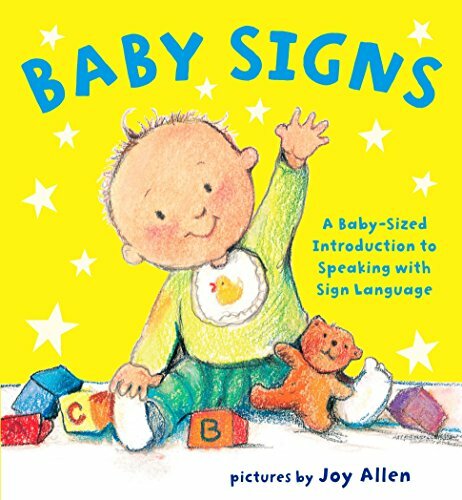 This is a far more extensive guide to baby sign language and includes over 300 signs to learn. For those wanting to take things a step further than just the basics, this book is a far better choice. Not only does it come with the signs, it also has supplementary games, songs and other ways to communicate with and involve your baby. There are also useful things such as numbers, alphabet and signs to use for warnings. In reality, this book is useful way beyond baby years, but only if you want to keep on learning. It’s also very compact and easy to carry around so you can learn on the go. I would rate this one as perhaps more fun and interactive for your baby. However, it has a limited amount of signs and no other way of learning, such as the videos included in the first book. Of course, kids love to go through well illustrated picture books with their parents, so in that way this is the perfect book. Just remember to practice the signs with them as you go through, because the illustrations, although nice, are probably not going to cut it for either you are them. Just watch out for the signs in the corner, as they are a lot easier to see and learn than deciphering the illustration in some cases. 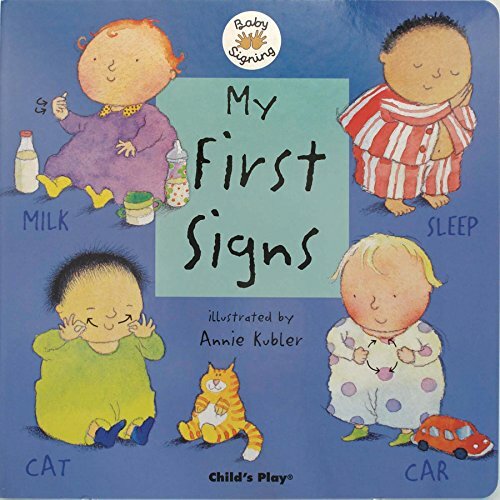 Another very short and sweet baby sign language book that teaches via very child friendly illustrations. 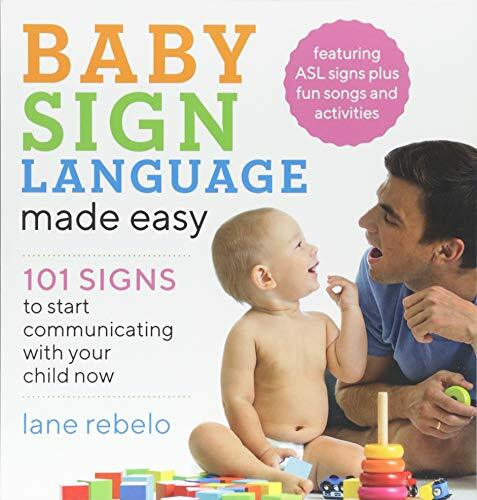 This large format book is again great for sharing with your child and teaching them the most commonly use American Sign Language signs you need. Some signs are modified and simplified for children, but in the end, you just want to communicate before they speak. This book does not go much beyond the bare minimum, so if you are after more, look at one of the first two books in this list. The format of this book is great for learning groups of words. Each one is clearly illustrated along with the associated words in the group, all in one page. Of course, for most babies, this is perhaps way too many words, and if you are not intending on taking this any further than just a few, it might be overwhelming. But if you do want 100 words to learn, it’s great. Just don’t expect any accompanying video like the first book in this list, which is still my favorite. 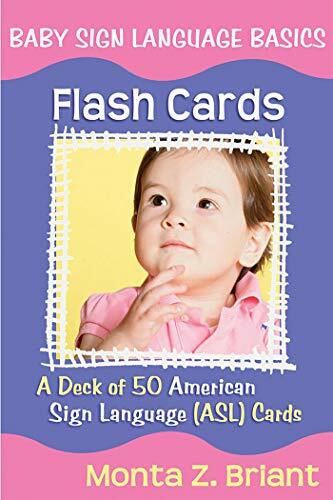 Based on the official American Sign Language, this deck of 50 large, illustrated cards is a great way to teach yourself and your baby one word at a time. Each card features the gesture on one side and an associated image on the other. This is a very realistic and practical way to learn sign language for anyone, adult or baby. And, if you prefer interactive cards to books, it’s the perfect solution. For me (and my friend) the only goal was to learn a few simple words to help communicate with them until they could talk. So, the basics, along with some videos would be the best option for me. 300 words is way too much, and I don’t need all the extras to go with it. However, we each learn and enjoy things differently so you have to decide how best to teach your child. Hopefully, I have given you more than enough information to make a purchase.